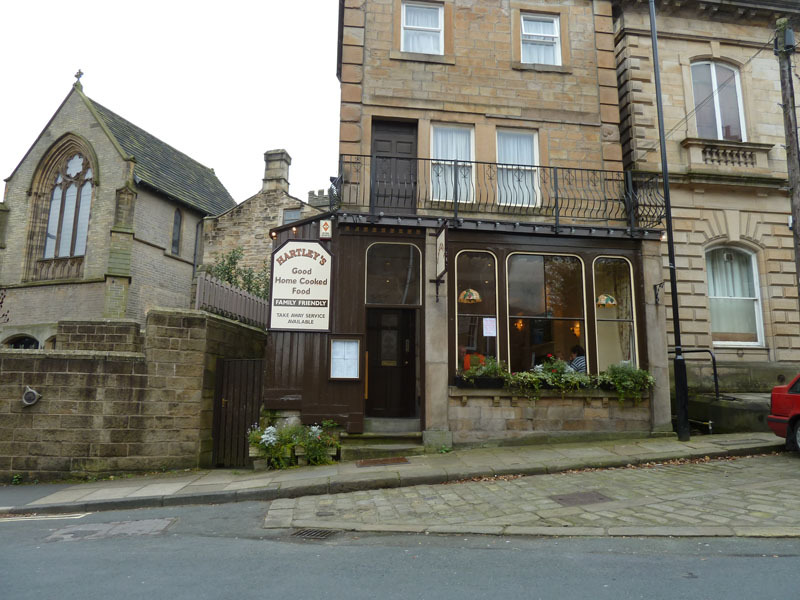 Hartley’s is a traditional, Victorian style tea room set right in the heart of Todmorden. Even though Hartley’s is new to Todmorden, our traditional feel and Victorian inspired tea room offers a warm and friendly welcome. All our cakes and scones are homemade and we want to make sure you feel right at home. We also do yummy breakfasts and lunches which you can sit down and eat with your friends or take it out if you’re in a rush. If you’re looking for somewhere to have a really nice treat, come to Hartley’s and we’ll make sure you feel welcome.